Waves driven by the strong sea winds at the North Sea are a powerful experience, one easily washes my worries away. 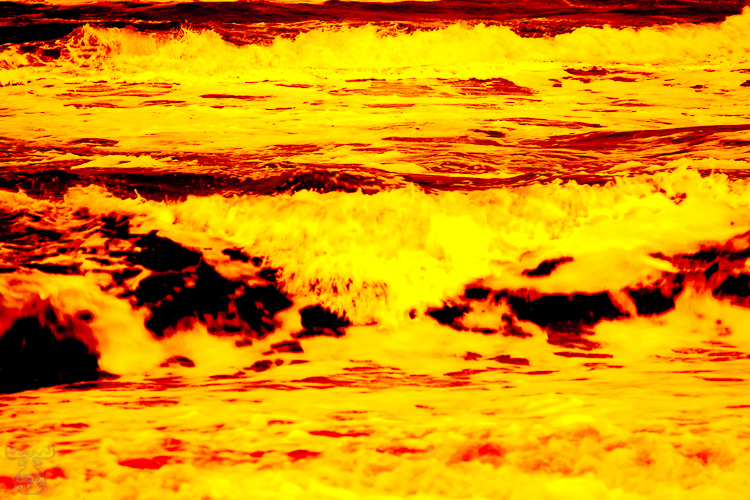 Reducing the variety of blueish and greenish colors and replacing them with warm orange and red tones leaves the energy of the beating waves and adds that of molten magma - Fire and Water. I called the series "Waveart".